The annual pilgrimage to the holy cave of Shiva and Mahamaya Devi, nestled high in the Kashmir Himalayas, is one of the most sacred yatra events on the path of tantra and yoga. The energy of this great peeth will increase ones charisma, alter karma, and transform consciousness. 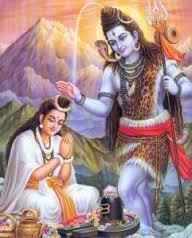 At this site, Shiva initiated Parvati into the science of immortality, Kriya Kundalini Pranayam. At this site, the vortex of energy was forever marked as the Kriya Tantra Yoga peetam (power spot) of Parvati, and where the two cosmic Deities found union. 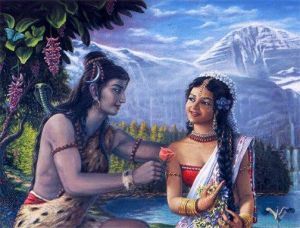 Parvati melted the heart of Mahadev through sadhana and pure love. He initiated her into Kriya Kundalini Pranayam at Amarnath.. The Puranas record that Parvati was reborn from the deathless soul of Sati (Shiva’s first wife). Though not fully self aware, she nonetheless recognized in the shadows of her ancient soul its grandeur with memories of her countless births, including those with her Lord, Shiva. She yearned to be once again close to Shiva, her immortal love, and that he would reveal to her the secret of the golden body of immortality, so as to escape from the cycle of rebirth. With that goal, she performed intense yogic sadhana (tapas) dedicated to Shiva. After undergoing many tests and postponements, she melted the heart of Mahadev with pure love and he agreed to initiate her into the greatest secrets of Tantra, Yoga, and Brahma consciousness. This Amarnath Cave is the sacred bindu, the epicenter of power, which Shiva chose for passing to her the understanding of cosmic consciousness and universal creation, preservation, and destruction. It was an ideal location, far from human habitation, where no one could overhear their discourse or be shattered by the energetic detonation. It is said that Shiva, accompanying Parvati to the cave shrine, left his beloved bull, Nandi, in the town of Pahalgam. 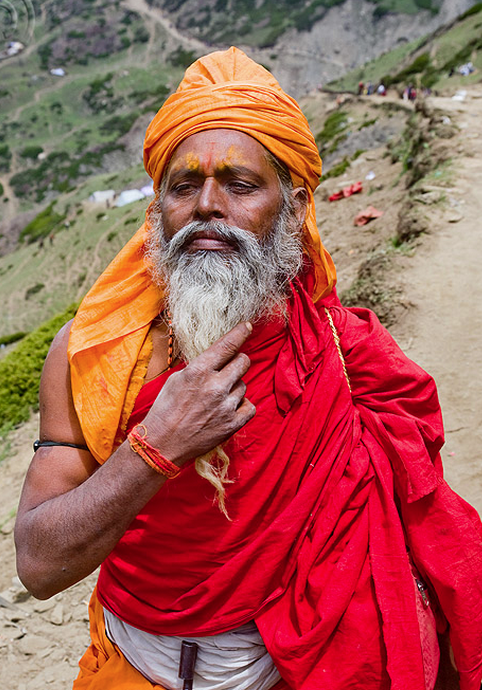 At Chandanwari, he laid down the crescent moon from his hair. At the banks of lake Sheshnag, he released the snakes adorning his body. At Panjtarni the colossal lord of the elements (tatvas), he left even the tatvas. These are the elements that form all animate and inanimate objects. After leaving behind everything in the relative plane, Shiva and Parvati entered the Holy Cave to fulfill their Dharma. This is a great mystic principle. Yogis and tantrics establish focused sankalpas to transcend attachment to objects as well as the siddhis that might have been achieved over the elements in order to merge in Nirvakalpa samadhi. The mergence of the male and female principles points to their triumph in dropping attachments and merging in Sahasrara, where oneness alone prevails. Shiva brought Parvati to this secluded natural setting at Amarnath to sanctify their marriage. Lord Shiva then entered into Samadhi, absorbed in transcendental knowledge and bliss, to prepare for Parvati’s initiation. Shiva sought to ensure that no living being was present in order that they not be overwhelmed by the massive energy created during the kriya and samadhi transmission. Shiva created a generator of fire, Kalagni, and ordered him to rebuff every living thing that might approach the holy cave. To Parvati’s eternal debt of gratitude, she was taken up into that bliss state where thought and time do not exist and every differentiation is absorbed into singularity. Thus, it is a monumental grace for mortals to make this arduous trek in homage to Divine union at the sacred cave of Shakti, and in the divine form of Shiva’s phallic ice lingam. 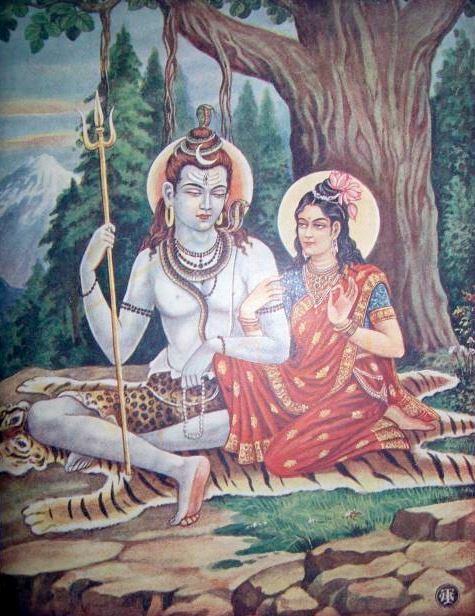 Shiva brought Parvati to this secluded natural setting to sanctify their marriage and to open a doorway of liberation from rebirth for his chosen partner. Here Parvati could fully absorb the experience of her previous incarnation as Sati. As one of the famous fifty-two Shakti Peeths, the throat of Sati fell to the earth at this very spot after she immolated herself in fire. In this particular natural temple, Shakti manifests as Mahamaya Devi. Mahamaya casts illusion but also takes away illusion. Her worship and course of sadhana is extremely auspicious. It liberates the embodied soul from maya and bestows the bliss-awareness of non-duality; God consciousness. The lingam waxes and wanes with the phases of the moon. 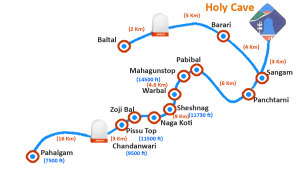 It reaches its greatest height during the June festival when pilgrims make the sacred trek. Those who worship the lunar cycles, through yantra, mantra, tantra and pranayama, can benefit profoundly. The origins of this gleaming natural lingam and yoni are shrouded in the mists of hoary antiquity. The Amarnath cave was a place of pilgrimage and sadhana for thousands of years. There are ancient references to the cave shrine in the annals of the celebrated ruler of Kashmir, Arya Raja, whose reign has been ascribed to third century BCE. Ancient texts record that the Raja would go on pilgrimage to the cave and worship the lingam which formed naturally of ice. Subsequent royalty patronized the temple as well. This included the Kashmiri Queen Surya Mathi in the eleventh century AD, who gifted to the shrine trishuls and a bana lingam. In addition, her gift including a sacred Shiva lingam which has been naturally formed in the waters of the Narmada river. The cave is situated at an altitude of 3,888 meters (12,756 feet). The entire area is covered with snow most of the year except for a short period of time in summer when it is accessible for pilgrims. The yatra typically opens in late June for only a few weeks. Indian nationals can register at certain locations throughout India. It is best for non-Indians to register at Srinagar. Things change so check with authorities. Since the registration office is not open on weekends, it is best to arrive in the early part of the week to ensure you have several days before the weekend to register and obtain a pass. On arrival at Srinagar airport, I stayed on a houseboat, which Srinagar is so famous for. 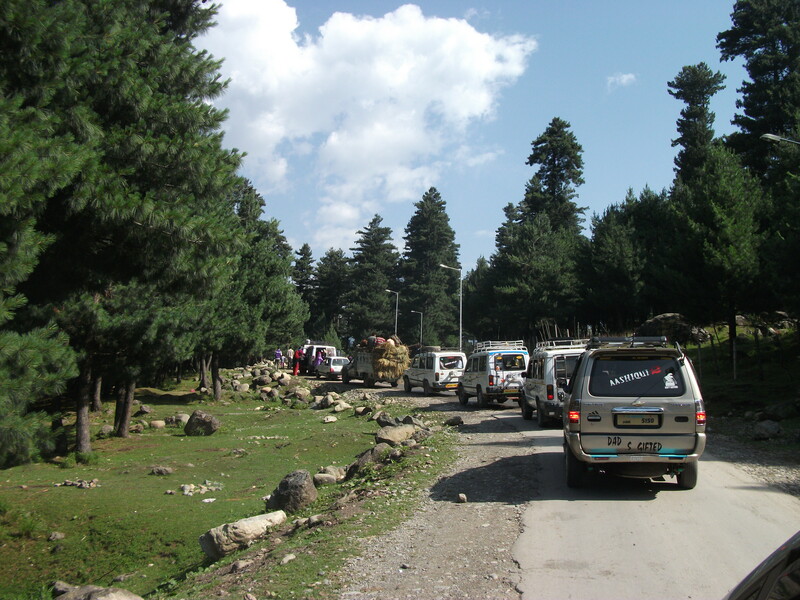 The morning after obtaining the pass, I took a taxi to Pahalgam, a journey of about three hours and 100 kilometers. Here, I found lodging in Pahalgam. Although I did not have one, I suggest that Pilgrims obtain a hotel reservation in advance. After a good nights sleep at a Pahalgam hotel, I took a jeep taxi 16 kilometers (10 mi) to Chandanwari. Chandanwari lies at an elevation of 2896 meters (9,500 ft). This is the end of the line for auto transportation as there are no roads beyond this point. From here, arrangements can be made for a horse. There are many horses and horsemen that can be enlisted throughout the journey but the best bargain can be obtained by negotiating the entire pilgrimage in advance. The pilgrimage to the cave can be made either by foot or horse, depending upon ones capacity. The aged and physically challenged can be carried on a palanquin. A helicopter from the Baital area can take one part way up the mountain, but it does deny its users the full spiritual merit (punya). The satsang of fellow pilgrims is heart warming. 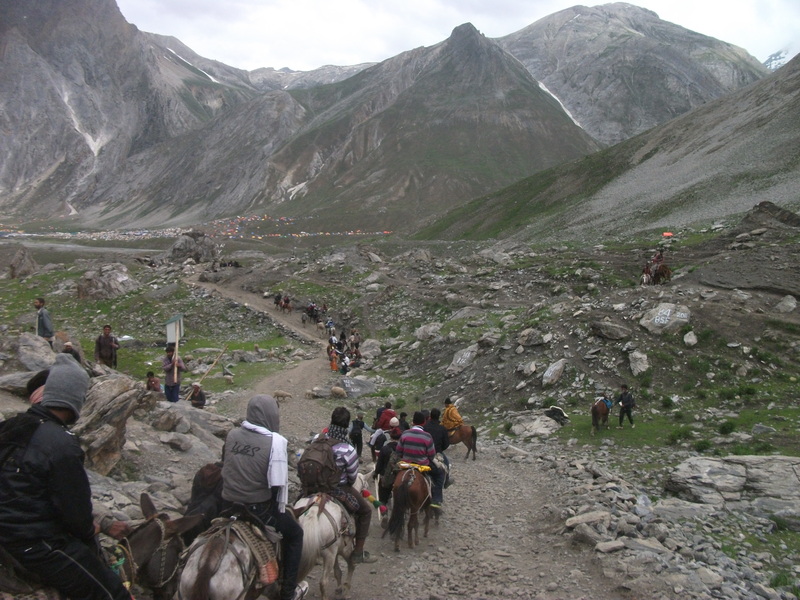 Also, even with a helicopter, portions of the yatra must be performed by foot, horse, or palanquin. 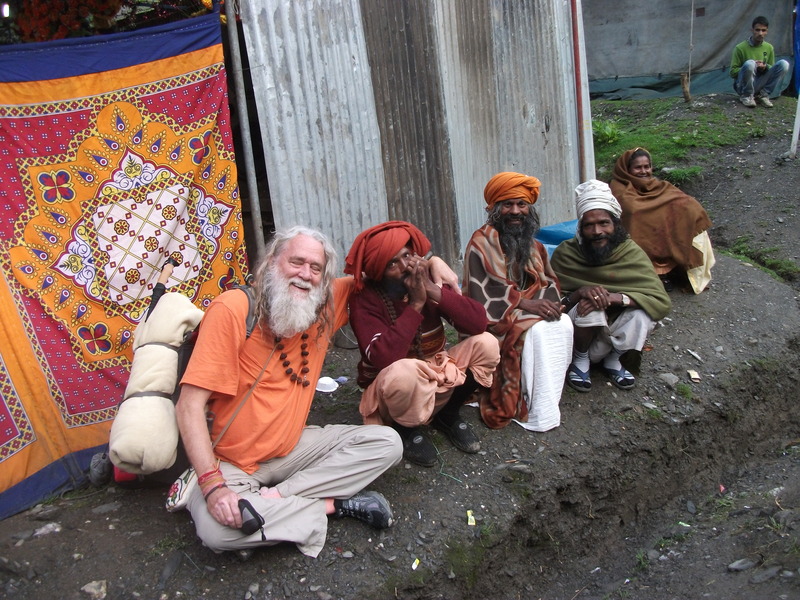 A few light moments with local Baba’s on their way to Amarnath. Pahalgam was once the base camp for the foot pilgrimage (pada yatra). A few pilgrims begin their pilgrimage in Pahalgham. Most take a taxi to Chandanwari Chandanwari which has effectively become the new base camp, due to road improvements and taxi availability over the last decade. Horses are also available at Chandanwari. The best hotel accommodations are at Pahalgham, however. If you leave from the Pahalgham – Chandanwari area in the morning, expect to spend the night at Sheshnag. On the next day, you would spend the night near the holy cave. This is ideal, as it permits an early morning darshan on the third day. Then you can descend by way of Baital on the same day, arriving at that base camp in the late afternoon or early evening. The path from the Cave to Baital is very steep, and, for that reason, not recommended for the ongoing portion of the pilgrimage, but is ideal to return to Srinagar. This arrangement would then take three nights and three days, including the first night at Pahalgham base camp. Pilgrims can negotiate with the taxi driver to drop them off in Pahalgham and pick them up at Baital, which was my choice. The 13 kilometer trail from Chandanwari has an elevation of 2,856 meters (9,500 ft) to Sheshnag is uneven terrain at a challenging elevation. Chandanwari is a mountain pass situated at the junction of two large streams. From here, the trail climbs to Pissu Top and continues to Zoji Bal, situated at 3,352 meters (11,000 ft) elevation. I had negotiated a horse in Chandanwari. The horse seemed weak as the trek progressed, but the horseman did not seem concerned. 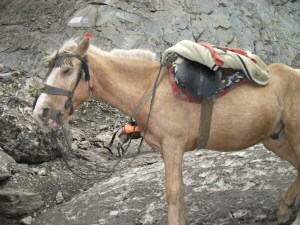 At the last peak near Zoji Bal, both front legs of the horse abruptly collapsed, throwing me to the side and forward. As the horse staggered, I fell and my right rib cage impacted a sharp rough eight inch rock. I was in massive pain and sat by the trail for about thirty minutes just trying to allow the pain to subside, regain my composure and catch my breath. I then proceeded on by foot. Even after more than a year my rib cage still hurts when I press on it. I feel that this was a small offering of my body to Shiva and Mahamaya. I remember that my Guru said that to a yogi or a mystic, a physical injury occurring during a divine event is a sign of burning karma and a grace to the soul. I reflected upon that, as I rested by the trail. After some time, I stood up carefully and began the long trek to Sheshnag. Rounding a bend in the trail, I caught an amazing glimpse of a rushing glacier stream feeding into beautiful Sheshnag Lake. As the sun descended and the wind increased, a chill was in the air. Later, I learned that mountains around Sheshnag are the windiest, and due to the wind chill factor, coldest, location in that part of the Himalayas. The pristine beauty of Sheshnag Lake was striking, especially if one attends the pilgrimage as soon as it opens and before the land accumulates rubbish due to the traffic of the pilgrims. The government of India and Jammu-Kashmir does a superb job of maintaining portable toilets and other amenities at the camps. In Sheshnag, I had dinner and stayed overnight in a warm sleeping bag within a comfortable tent. The next morning, after a short satsang with a small group of Baba Swamis, it was time to move on. Some ancient souls ply this route. Pure is the river that flows – pure is the sadhu that goes. God bless those rare and illustrious souls who vow detachment to the world. Michael Jackson, a beautiful Cremello stallion, carried me safely to the feet of Shiva at Amarnath. Mohammed, my horseman produced a massive horse (at least for the Kashmir region), who was curiously named Michael Jackson. Amazing, is it not, that popular culture has made it to the remote recesses of the Kashmir Himalayas? At any rate, I myself am quite fond of the music of Michael Jackson (the artist). Mohammed, the proud horseman, affably maintained that he was the strongest horse in all of Kashmir. After only a few seconds riding with him, I was convinced that Mohammed was right. Thus, I left Sheshnag campsite for Panchtarni (Panitarni) on Michael Jackson. The first five kilometers are a constant uphill gradient until I reached Mahagunas Pass. 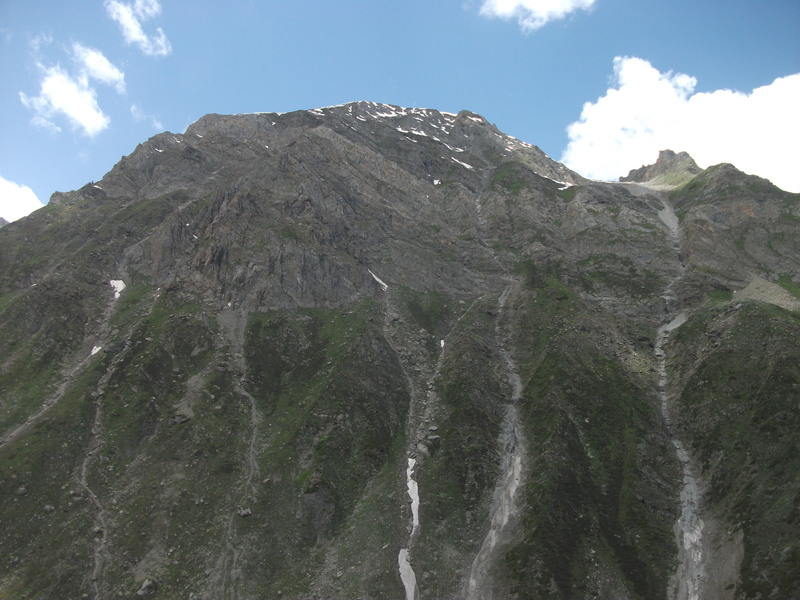 The pass is the highest point along the Amarnath trail at 4,276 meters (14,028 ft). For contrast, this is a trail that is comparable to the elevation of the peak of Mount Whitney, the highest summit in the contiguous United States with an elevation of 14,505 feet. From the Mahajunas Pass, it is a gradual descent to Panchtarni, at an elevation of 3657 meters (11,998 ft). The Sangam area overlooks the confluence of the Amarnath river and a tributary from Panchtarni. From Panchtarni, pilgrims ascend along many hairpin turns and switchbacks as the trail rises once again to the Sangam area. 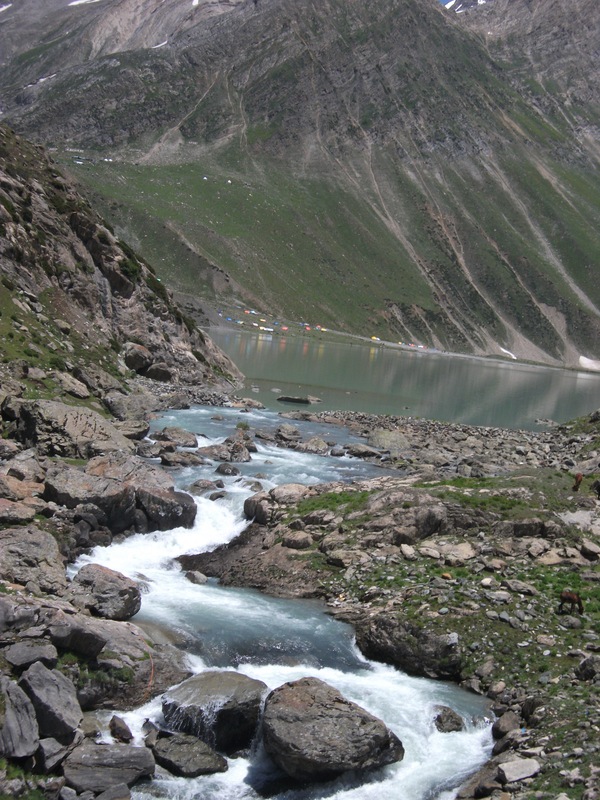 The Sangam area overlooks the confluence of the Amarnath river and a tributary from Panchtarni. 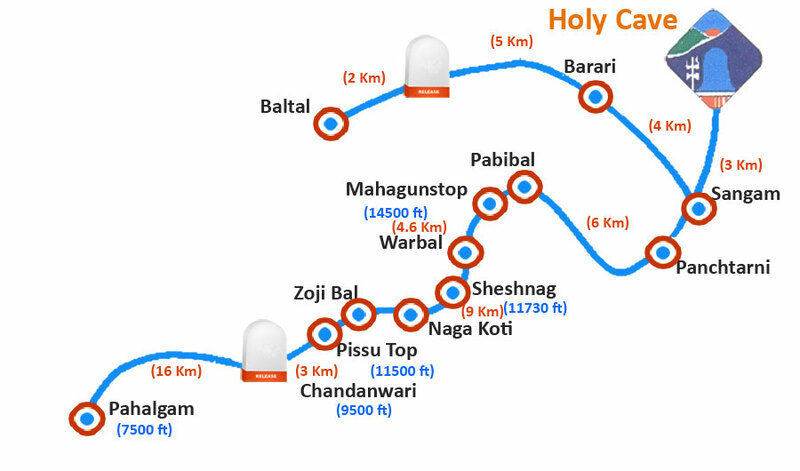 The Sangam trail rises far above the river valley below and is close to the Amarnath Cave (a distance of only three kilometers). The entire journey from Sheshnag to Amarnath took about eleven hours. I could hardly believe the traffic jams of people and horses in the midst of the Himalayas. The pain in my chest did not keep me from enjoying the pilgrimage, and Michael Jackson (the horse) had no problem negotiating the rest of the pilgrimage with me. I found an excellent tent accommodation at the Amarnath tent village, and, following a good meal, and exhausted from the trials of the day, fell fast asleep. The next morning, I awoke very early in great pain, resulting from the rib injury the previous day. I gathered my courage and proceeded to the sacred grotto. The cave itself is one of the great Shakti Peeths identified in ancient literature and is the world’s energy center for Mahamaya Devi. She is the Shakti who both manifests illusion and also, when the soul is ready, lifts illusion, to enable that soul to experience the oneness that has no second. The mouth of the mammoth cavern could easily hold thirty elephants. Nearby the cave, I washed my feet in the ice-cold water of the Amarnath stream, which flows a short distance outside and below the cave. The cave is situated at an altitude of 3,888 meters (12,756 ft). As one ascends the multitude of stairs which take you inside the gigantic cavern, there is feeling of calm tranquility mixed with high energy. Nothing can adequately capture the grandeur of the cathedral like expanse of this massive cavern. Its height must be forty meters (130 ft) but its power makes it feel unbounded. The primary lingam within the cave is formed due to the freezing of water droplets that fall from the roof of the cave onto the floor. This allows the lingam to grow up vertically from the cave floor. I was in awe at this massive tantric corona of radiance; all centered around the natural ice lingam residing within the great cave. The energy was magnetic and electric. The experience elevated my mind and emotions into divine realms. At first, I could not take my eyes off of the glistening white lingam. Then my eyes began to close involuntarily and I felt myself being pulled into deep meditation. Within my being, a light exploded at my third eye. Thought and time disappeared. Out of the inner light itself, I saw a large Shiva Lingam, standing erect, white and glimmering in the light. As the meditation progressed, Shiva, Parvati, Babaji and Mahamaya dissolved into oneness. The energy of every saint and siddha seemed to merge as one. Like a divine black hole, both bad and good merged with all forms, all principles, all religions. Past, present, and future merged and dissolved. As I was having the experience I was one with the experience itself. As breath and thought returned to my body, my consciousness became aware of the surroundings. Reflecting on the experience, it was impossible to say whether the experience was 10 minutes or 2 hours. The sacred Ice Shiva Lingam of Amarnath cave is formed naturally from water within the mountain dripping on the cave roof. The energy that it produces is magnificent ! The articulate priest distributing prasad was quite curious and delighted to see a western swami, and we conversed for some time about the great and noble principles of Shiva Yoga. As we talked, he became increasingly blissful and animated. He was justifiably proud to explain that his family had been priests at the holy cave shrine for many centuries. After a delightful discussion, I received prasad, and descended down the many stairs to the river trail, and on towards the tent which had been my welcome home during the previous night. Due to other pilgrimage destinations, I chose to return by way of Baltal on the same day. The route is almost entirely downhill and I arrived in Srinagar by evening. The Baital route is far shorter but also far steeper, and thus a difficult path to approach the cave, but an excellent path for returning to Srinagar when time is limited. By the time I reached Baital, the pain in my chest was much more manageable. I could not complete this pilgrimage to Amarnath without expecting massive subsequent restructuring in my life. It is the cosmic law. I set a high intention from the beginning; and knew that big changes in my life would be immediate, and so they were! I knew that the pilgrimage would burn great karma, and so it did! My life has not been the same since the yatra. The spiritual tempo has quickened, and I am grateful to Shiva and his entourage for that. Take the plunge, Dear Atman! Make the commitment to the great consciousness within you. Don’t waste a minute, for every second of life is precious. Live nobly in the moment, Dear Atman, for no man can undo a fraction of a moment, once done. Om Nama Shivaya!